What’s a #NandosDash? Simply dash on over to the Nando’s PERi-PERi restaurant on Dupont Circle (1210 18th Street, NW) to get a free quarter-chicken, chicken sandwich, wrap, or pita. It's Nando's way of saying thank you to its patient fans during our recent renovation. Any customer who dashes to Nando’s Dupont will be treated to spicy flame-grilled chicken for free, for either eat-in or carryout guests. Customers will have to get their dash on early, though, since it’s first-come, first-served and there’s a limited number of seats available. After an extensive two-month renovation, Nando’s PERi-PERi fired up its grills again at its Dupont Circle location last month. The restaurant now features a new kitchen, draft beer taps and beautifully re-designed dining areas. The customer take-out experience has been vastly improved, with a grab-and-go beverage refrigerator and a convenient order pick-up area near the host stand. South African artisans have also created handmade furniture for the Dupont Nando’s and unique lighting, including woven pendant lights fabricated from recycled clothing. In addition, the restaurant features original works of art from South African artists. With thousands of pieces of art that are a constant reminder of where the restaurant came from, Nando’s has become the largest collector of South African contemporary art in the world. * Terms & Conditions: Only available March 7, 2019, from 11 AM - 1 PM at Nando's Dupont. One free quarter chicken, chicken sandwich, wrap, or pita per person, on a first come, first served basis, dine-in or take out. You need to pay for any extras, including sides or drinks - only if you want them! 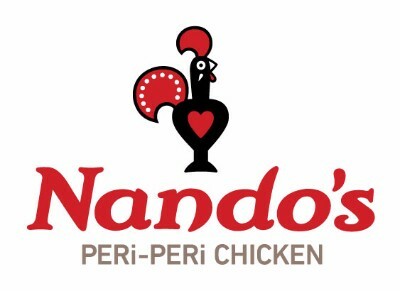 The first Nando’s restaurant opened its doors in 1987 in Johannesburg, South Africa. Since then, the Nando’s flame has spread to 24 countries on five continents. Nando’s PERi-PERi made its U.S. debut in 2008, and now operates 42 restaurants in and around Washington, DC, Baltimore and Chicago. For more information, please visit www.nandosperiperi.com, follow @NandosUSA on Twitter or Like Us at Nando’s PERi-PERi USA on Facebook.